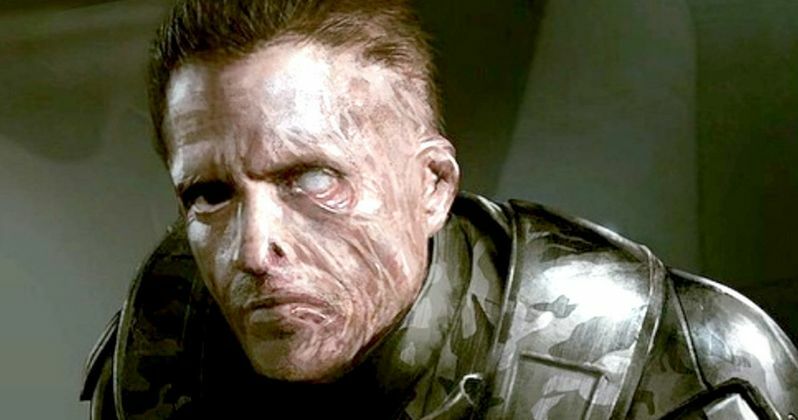 When Chappie director Neill Blomkamp first shared the concept art illustrations for his Alien 5 sequel back in January, some of the images featured depictions of both Sigourney Weaver's Ripley and Michael Biehn's Aliens character Corporal Hicks. Right now, we still don't know anything about the story, except that it will give the Ripley character a proper ending. While doing press with Digital Spy for Chappie, Neill Blomkamp hinted that not only will Sigourney Weaver star as Ripley, but Michael Biehn will be back as Hicks as well. It's worth noting that the 2013 video game Alien: Colonial Marines actually alters Hicks' apparent death in Alien 3. While we don't know exactly when in the Alien timeline this new story is set, it looks like we'll get to see Ripley and Hicks fighting side by side once again in this sequel. In related news, Reddit user Sskywarpe ran into Michael Biehn over the weekend at Pensacola Comic-Con, where the actor confirmed that he has been contacted to return in Alien 5. When asked by another fan at the con if he was going to appear in the movie, the actor stated, "Looks like it!" Obviously, this is far from any sort of official confirmation that he will star in the currently-untitled sequel, but its starting to sound like Hicks will definitely be brought back. What many fans are wondering now is how, exactly, Neill Blomkamp plans on bringing back Michael Biehn's Hicks, since the character was was killed off in Alien 3's opening moments. Ripley's fate was left uncertain at the end of Alien 3 as well, with her character literally left floating in space. Ripley did return as a clone in Alien Resurrection, but it isn't clear if that story aspect will be taken into account in Alien 5. Are you excited to see how Alien 5 brings these characters back to life? Chime in with your thoughts below.